Universities play a vital role implementing Scholars at Risk’s mission to defend scholars and promote academic freedom. By arranging temporary academics positions, colleges and universities provide a safe haven for scholars facing persecution or conflict in their home countries, enabling them to continue their academic work. The scholars not only enrich their host institutions through their lectures and research, but also by bringing their unique perspectives and experiences to the campus community. Whitman College, a private liberal arts college based in Walla Walla, Washington, joined the Scholars at Risk network in 2016. Dr. Gaurav Majumdar, Associate Professor of English at Whitman College, led the university’s efforts to join SAR after seeing the increasing persecution of intellectuals around the globe. Whitman has formed a SAR Committee composed of four professors working across a range of disciplines. Dr. Saladdin Ahmed, O’Donnell Visiting Assistant Professor of Politics and Race and Ethnic Studies, is Whitman’s first SAR placement. 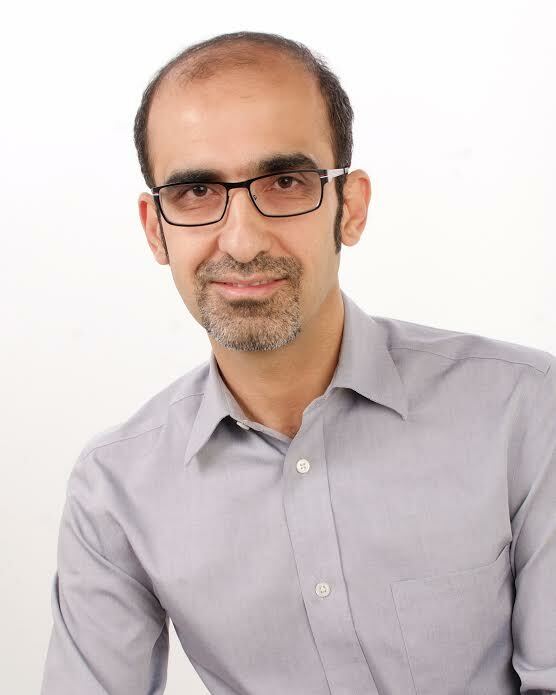 Dr. Ahmed left Turkey in 2015 after being dismissed from his position at Mardin Artuklu University. He is one of the thousands of academics who have been targeted during the country’s ongoing crackdown on higher education, among other areas of civil society. In the Spring of 2017, Dr. Ahmed came to Whitman to teach a two-week course entitled Unpacking Racism. He returned for the 2017-2018 academic year to teach four additional courses: Introduction to Race and Ethnic Studies; Totalitarianism; The Problem of Culture; and Introduction to Ancient and Medieval Political Theory. In this SAR spotlight, Dr. Majumdar talks research, his relationship with SAR as a Primary Representative, and hosting threatened scholars that have come through the SAR network. Dr. Ahmed discusses his research, the academic climate in Turkey, and his experience as a hosted scholar with SAR. How has your experience been as Whitman College’s Institutional Representative for the Scholars at Risk network? How did you and Saladdin first become acquainted with one another? Dr. Gaurav Majumdar: My work has been a pleasure because there is an obvious ethical dimension to such engagement. I work on cosmopolitanism and anti-colonial literature in my scholarship, and so there is an international dimension to my work that involves ethics, as well. The ways in which crises bring cosmopolitan ethics to an intense boil have been demanding, but enormously satisfying. As for Saladdin, I came to know him through Scholars at Risk (SAR). We formed a SAR Committee at Whitman after our Provost and Dean of Faculty agreed to join the network. The committee screened the profiles for various relevant candidates, and Saladdin stood out. We interviewed him via Skype, and we were all impressed not only by his intelligence but also by how personable he is – and that impression has only grown. I hosted a reception for him a couple of months ago at Whitman, and I said to my assembled colleagues that Saladdin is a person with a very large heart, a great sense of humor, and sometimes an almost bewildering amount of courtesy. Knowing Saladdin has been an excellent experience. Do you think lack of academic freedom is an issue on campuses here in the US? Do you feel there is a need for more education and dialogue around the issue? Dr. Majumdar: Unquestionably. The Indian-British novelist Salman Rushdie has argued that the university should, indeed, be a safe place for ideas, not sentiments. Increasingly, colleges and universities in America are calling for the safety of an astonishing range of sentiments rather than engaging in difficult inquiry and trying to work through problems. Across the country and, because of the enormous influence of the American system, across the world, there is a call to work around problems. SAR implicitly demands that people work through problems in very beautiful ways – ways that call upon, challenge, and interpret ideas, while bringing ethics and politics into the arena. More so, the work at SAR sometimes forces people to revise their assumptions. What do you think you have learned from working with Saladdin? What advice do you have for a member considering hosting with the SAR network? Dr. Majumdar: What I have learned most is that the 21st century carries information across the world very rapidly. Arguments in the humanities resonate and shape significant opportunities for communication across national, cultural, ethnic, racial, and religious boundaries. This became clear to me because I am very fascinated by literary theory, an area in which Saladdin’s sophisticated knowledge has galvanized my own interest. As for my advice for people hosting with the SAR network: I’d request that they do not assume the lack of sophistication of those they might host. By no means can I be certain that there may be such expectations, but I have come across them myself sometimes. Occasionally, on campuses and universities across the U.S., there is the, perhaps, well-intentioned, but naïve assumption that one has to explain circumstances and the ways in which disciplines in the U.S. work, given that a scholar from SAR comes from ‘elsewhere.’ Such [an assumption] does not ease the way to hospitality in any way. This does not mean that people shouldn’t make an effort to introduce a visiting scholar to local circumstances, but I would urge some caution about assumptions of a scholar having a lack of theoretical sophistication or a lack of cultural familiarity especially given the way that the U. S.’s influence has spread across the world. As someone who holds a Ph.D. in Philosophy, what has been your most prominent area of research within the field? 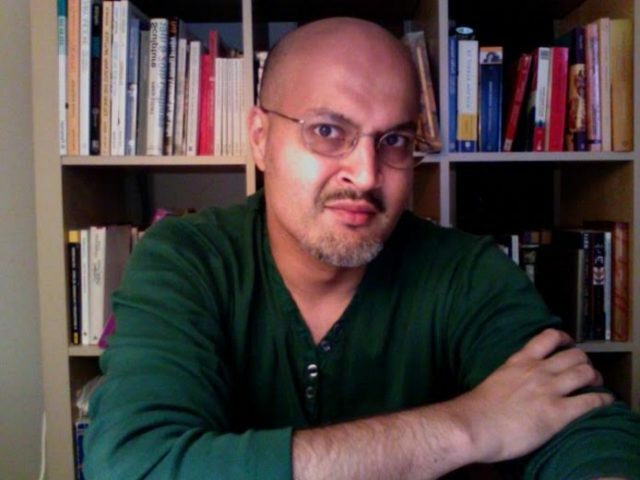 Dr. Saladdin Ahmed: My research interests are, in general, social and political philosophy, critical theory, and philosophy of space. I have also done work on philosophy of race, minority rights, and social movements. From 2014 to June of 2015 you were a professor in the Philosophy Department at Mardin Artuklu University. However, you are no longer allowed to work there. Why did this occur? Do you believe that your research prompted your removal from the university? Dr. Ahmed: I will never know for certain whether my research had any role in their decision [to remove me], but I know their decision had to do with the political climate in Turkey and the rise in totalitarian policies in the country in general. I was targeted along with twelve other colleagues at the University, and that was the beginning of a much larger purge in the country. Later, many of our other colleagues were also targeted because of what was perceived by the authorities as our [oppositional] political stance. I can only base my speculations on what we heard and what was published by the new rector of the University who was backed by Erdoğan. The new rector issued the decision to fire us. He tweeted, in Turkish, numerous times, for example, stating on June 30, 2014: “Throughout history whenever there has been a scientific or political onslaught against the Islamic world it has taken place through crusades, and that is exactly what is going on in Turkey.” This Tweet came in response to student and faculty protests against the termination of faculty positions at our university. What drew you to Whitman College and how do you see the situation in Turkey as influencing your current work, if at all? Dr. Ahmed: After I left Turkey in the summer of 2015, I applied for Scholars at Risk’s (SAR) assistance to find a placement. In 2017, SAR found an opportunity for me at Whitman, and I was called in for an interview. Then, through SAR, I was later asked to teach a two-week course in April, and that was when I met the people at Whitman. What draws me to Whitman is that as a liberal arts school it aspires to be a place for global citizens with all that this implies in terms of awareness and responsibility. I just found it to be a great place to teach, work, and get back to a sort of normalcy. This new beginning for me would not have been possible without SAR’s extraordinary help. I cannot emphasize enough how helpful the SAR staff, including Sarina Rosenthal, Rose Anderson, and Lauren Crain, have been throughout. At Whitman College, the SAR committee, headed by Professor Gaurav Majumdar, has done everything to make me feel welcome at Whitman. Dr. Ahmed’s experience at Whitman College is one of the many success stories achieved through our network each year. Find out how your institution can help to protect threatened scholars and strengthen the university space.